Are you intended to grow your business in a short span? Then utter the phrase YouTube micro-influencer. Here is the complete guide to know more about the way they work. What is Micro Influencers Marketing? How are Big Brands using YouTube Micro-Influencers? Choosing to collaborate with micro-influencers is the greatest way to develop your brand by promoting your products or services videos through micro-influencers. The name itself defines that they have a small count of followers than influencers. The selection of micro-influencers video marketing will push our brand at the audience and turns them to become customers or clients for our products or services. Mostly they will have more predictions on the customer expectations in their particular location. When you are intended to blast the success through video, then the micro-influencers video marketing is the bridging strategies to reach the targeted path in concise time. Though the YouTube micro-influencers have less quantity of audience they can influence the audience to become customers with the strong influential skills. Simply the YouTube micro-influencer could be the brand ambassadors to dispatch one’s brand at the tip of the customers. When they involved the ROI will be raised drastically by targeting the exact audience. They build the house of trust at the customers by delivering the genuine content. Use the stream of other social media sites to approach the YouTube micro-influencers. Make a search on Google to find the best micro-influencers. There are certain tools like Influence.co and BuzzSumo etc to list out the micro-influencers. Usage of branded hash tags that define your brand will direct you find the micro-influencers. Revise the fans list at large accounts of your personal profile to hook the potential micro-influencers. Most of the big brands are using YouTube micro-influencers to engage their brands with the customers. In that path, they consider the customer reviews and feedback that have been arrived through the micro-influencers. They file the comments that have been presented at the campaigns that are being launched by the micro-influencers. When the brands prefer the micro-influencer they feed the followers to make shares and likes for your launched campaigns that create better brand awareness. Using micro-influencers Brands offer giveaways through a contest. 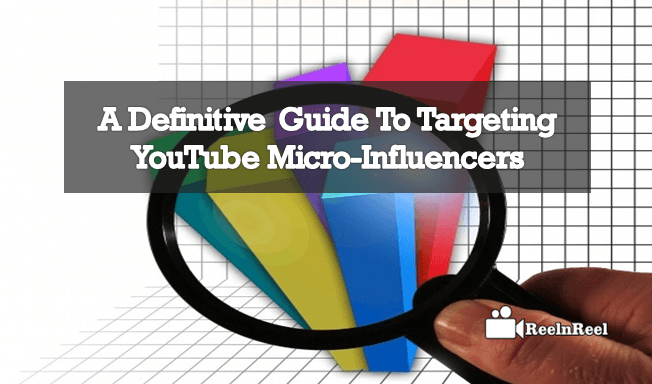 These all the best strategies that help in finding and usage of YouTube micro-influencers at your niche to establish the video campaigns to promote the products or services that expand the brand. Try to find the best micro-influencer who helps in gaining more customers.